Random photo on the way. I can't remember when's the last time I met up with my girls from high school...I think the last one was when we were still students in college. And since Jul and Mot are coming home for vacation (mga OFW na sila), we took the chance to meet up and bond when they arrive. 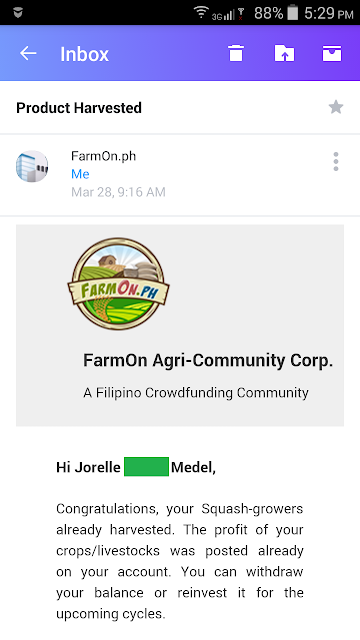 Last 28 March I received an email from FarmOn that my product has been harvested. FarmOn 2.0 | What's it About? Basically, FarmOn 2.0 is an improved version of FarmOn 1.0, but in a different level. As I visited the FAQ section on FarmOn's website, it has now been divided between 1.0 and 2.0.